Test Automation: What are the best ways enterprises can overcome its Challenges? Machine learning, Smart devices, Internet of Things, or any emerging technology you name – Automation is today at the core of every innovation. Industries around the globe are embracing fresh technologies to automate their mundane and tedious services. Evidently, Quality Assurance is a critical area for every industry, where software testing plays a critical role to ensure desired customer experience. 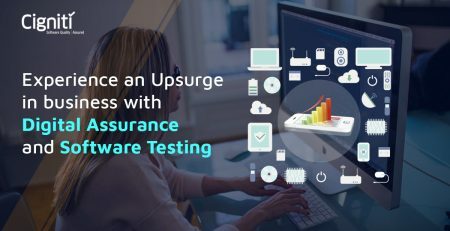 In order to build products that can meet the needs of the market, enterprises are embracing Test Automation to build robust software. Test Automation ensures faster turnaround, rigorous testing, and cost-effectiveness in the long run. According to a recent Zion Market Research report, the global test automation market was valued at approximately USD 15.87 billion in 2016 and is expected to reach approximately USD 54.98 billion by 2022, growing at a CAGR of 23.01% between 2017 and 2022. Test Automation strategies and tools have been implemented by organizations to achieve better test coverage and get faster results. At the same time, organizations are facing peculiar challenges in implementing a robust and viable Test Automation strategy. Some key challenges being – lack of funding or resources for Automation, no SLA or knowledge of scenarios for Performance Testing, lack of collective drive for Quality across IT, and absence of QA early in the SDLC process. These challenges being critical, here are some of the common but impending concerns that enterprises face while implementing Test Automation. Alternatively, we can also look at the best ways in which enterprises can overcome these challenges. This is probably the most common challenge faced by enterprises while creating a collaborative approach between testing and development teams. Test Automation involves major investment and it is important that the entire team is in sync to meet the common automation objectives. So, enterprises need to put major emphasis on building strong communication channels to make the testing process more collaborative. This is to ensure higher Returns on Investment (ROI), which is the ultimate objective for enterprises. Evidently, Test Automation without effective communication and collaborative approach can prove disastrous for enterprises. There are multiple test automation tools for various categories of requirements. Whether you choose Licensed tools or Open source tools, the choice must be relevant for your business requirements. Instead of choosing the wrong tool and getting carried away by the assurances of the vendors, it makes sense to try the tool before implementing it across the project. Specifically, in case of commercial tools, enterprises can use the free version of the tool to understand whether it is meeting the desired development objectives. Irrespective of the testing efforts and methodologies, if the tool doesn’t match the testing requirements, the entire automation effort and investment will go in vain. 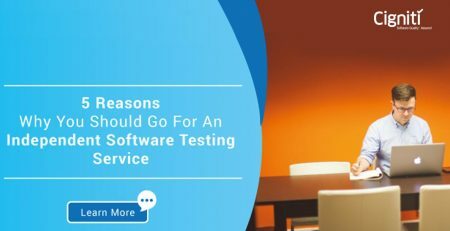 This is a major issue that enterprises face while choosing Test Automation as a strategy for application/software development. It is generally recommended that the automation team should be a separate team of testers with focused skills. Test Automation requires necessary skills and knowledge of the test automation framework to resolve some specific technical issues. Automated testing resources need good knowledge of the framework’s design and must know its effective implementation. This can make the overall test automation approach seamless and successful. If enterprises compromise on the resources, it can be disastrous for the project. Automation, if not implemented in the right way, can cost a bomb and yield no results for organizations. Setting up a test automation strategy must fall in line with the organizational objectives. Hence, Test Automation cannot provide results by just implementing the right tool. It also must be combined with the right testing approach. Most of the organizations fail to understand the level of automation they should implement, and thereby reduce efforts in both implementation and maintenance of the test suite. How to derive relevant test reports and metrics? The core objectives of automation are to reduce efforts and bring speed to the development process. 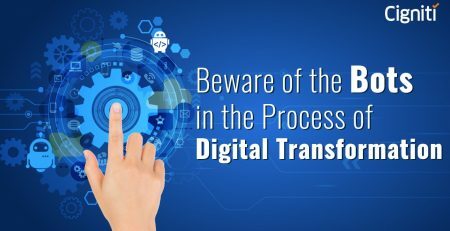 This being a critical area to address, enterprises are considering approaches such as Agile and DevOps to bring efficiency and flexibility to the automation process. It enables teams to go back frequently and estimate the impact of automation. Adopting the right testing approach not only helps to reduce test efforts, but also enhance ROI and higher test coverage. It can answer almost all the queries related to Test Automation. High upfront investments are one of the key reasons why enterprises consider Test Automation a strategic decision. Automation is critical in regression testing, especially for most of the projects with an Agile approach. The initial phase of test automation is cost-intensive, so it is essential to analyze, design, and structure a comprehensive strategy to build libraries, reusable frameworks, and functions. There are Licensed as well as Open-Source test automation tools available in the market. The decision to consider either of them totally depends on the organization’s strategy and objectives. If a paid tool is being considered, enterprises should consider the licensing and training costs as well. Even if the enterprise decides to consider open source tools that are freely available, they need to spend substantial time on learning, training, and maintenance. There are multiple concealed costs involved while leveraging open source tools as well. Enterprises need to also account for the costs involved in conducting meetings, communicating, and working cohesively. At the end, whether you take the licensed route or the open source route, it has to be thoroughly weighed against the business objectives and the tangible benefits expected from Test Automation. It is always a concern for enterprises to decide on the level of automation to consider. How much to automate the testing process? If this is not well strategized, it can lead to issues in the overall process and incur unforeseen costs. There are some best practices that teams can adopt to ensure desirable outcomes. One of the best ways is to automate the test cases that can be readily automated. This will provide positive results on the ROI and further save time and money in the longer run. Another way out is to automate test cases that generally provide estimative outcomes. For instance, a click leading to a predictable result (such as download). This ensures that any repeated testing activity results in the same outcome. Test Automation is a must to bring down the manual testing efforts, and it is recommended to automate the tedious manual test cases. Automation can come into play where it is impossible to conduct manual testing. Consequently, the testers have time to look into major issues such as defects and bugs. Saving time, reducing efforts, and enhancing quality are some of the key takeaways of Test Automation. However, automation cannot show results if implementation is ineffective. Teams with extensive experience can implement the best practices in Test Automation and deliver the desired outcomes for businesses. If required, it is important for businesses to bring in the required experience and skills to implement a comprehensive test automation strategy. Cigniti’s test automation suite comprising of automation & pre-automation tools enables organizations to increase release velocity, reduce time to market and reduce overall testing effort resulting in a significant return on investment (ROI). We at ATD saw significant value of automation of business layer (middle-ware automation). Cigniti’s ACoE (Automation Center of Excellence) has helped us reduce efforts in developing test automation framework by over 80%, saved more than 50% in test automation script development efforts, and helped achieve over 70% reduction in overall regression testing efforts..
Connect with us to leverage our expertise and overcome challenges related to Test Automation in your software/application development process. Sandra Gaston, QA Director, ATD, has 25+ years of experience in IT leadership, Project Management, IT management, process improvement, and systems analysis/development within Fortune 500–50 companies. She has a strong understanding of Software Development Lifecycle (SDLC), QA strategy and implementation, Software Testing Lifecycle (STLC), Test Automation, and Continuous Improvement.